I happened upon this fellow at the Farmer's Market near our hotel. 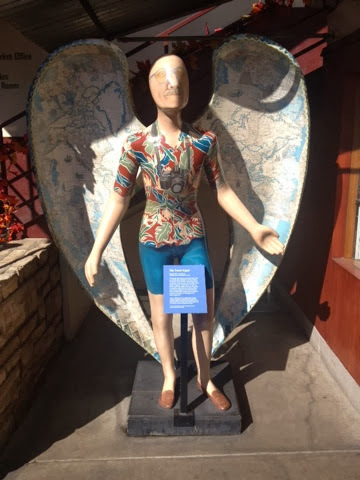 Apparently the city of angels sponsored a public art project where different artists created different angels, which were then auctioned off for charity. This one found a home at the Farmer's Market. 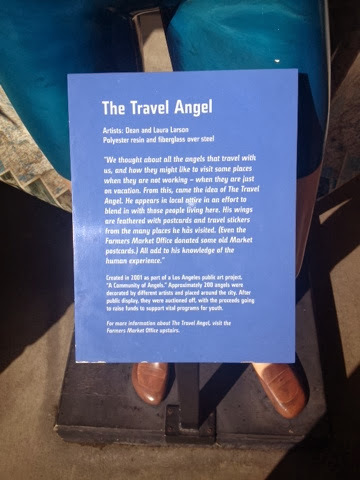 I love the idea of angels all around the city and wish I could have seen the whole exhibit. Last time I was in LA, my sister and I noticed that the city does indeed seem to be populated by unexpected angels, many of them riding the city bus.